Let the kids decorate their food with sunny egg faces. 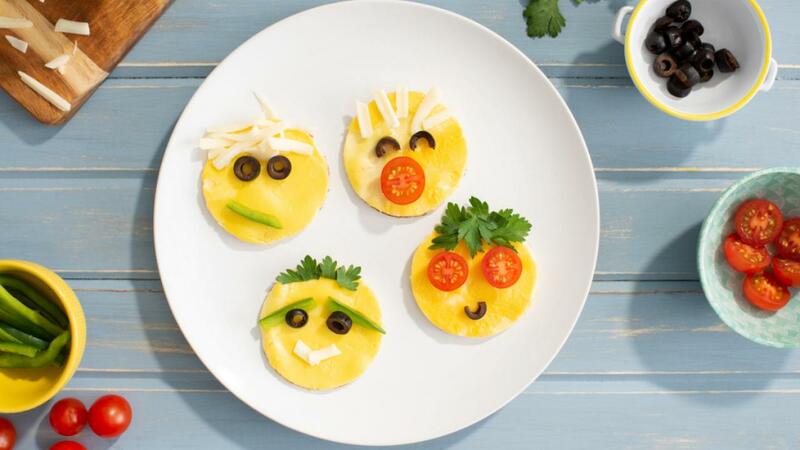 Cut templates for the faces out of a simple omelette using round cookie cutter, then animate using olives for eyes, shredded cheese for hair, and cherry tomatoes for noses and smiles. Whisk eggs, milk and pepper in small bowl. Spray 10 inch (25 cm) skillet with cooking spray. Heat over medium-low heat. 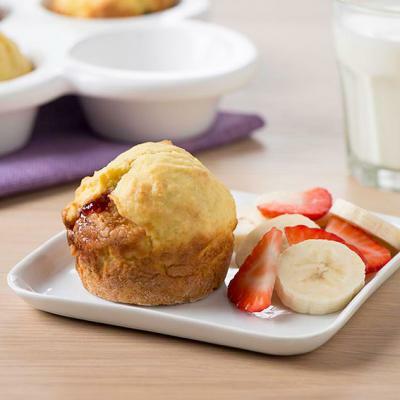 Pour in egg mixture; cover and cook, without stirring, until just set, 7 to 10 minutes. Slide omelette onto cutting board; let cool for a few minutes. 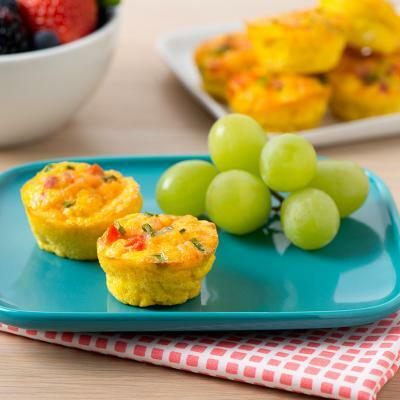 Cut four circles out of omelette using large (approximately 3 1/2 inch/9 cm) round cookie cutter. Create egg faces using cherry tomatoes, peppers, olives, cheese and parsley to make eyes, nose, mouth and hair. 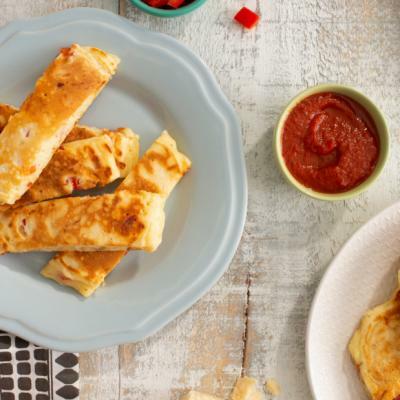 Leftover bits of omelette can be used as well. Place tomatoes, peppers, olives, cheese and parsley in small bowls and let everyone create their own faces.